The entire controversy about General VK Singh's DOB was stoked in 2006 by the powers that were then within the Army to tamper with the so-called line of succession. At the time, Deepak Kapoor was to be the next COAS followed by VK Singh. These two appointments could not have been tampered with, but by restricting VK Singh to a slightly more than two-year tenure, it ensured that Bikram Singh would become the COAS in 2012 rather than KT Parnaik who otherwise would succeed VK Singh in 2013. Even the officers behind these manipulative moves would be surprised at the success of their ploy for the so called controversy was actually laughable for the date entered in the UPSC form was corrected by the UPSC before the applicant went to NDA. Cadet VK Singh joined the Academy a week late as the error was then being corrected. A letter correcting the DOB from his father who was in 14 RAJPUT along with the school-leaving certificate was sent to the UPSC and this was accepted before the cadet joined the Academy. All relevant documents after passing out from NDA and IMA like ID card and record of service etc. reflected 1951 as the DOB. Even at the IMA in Dehradun, despite the cadet being ordered to enter the DOB as per the UPSC NDA application form, the original mistake was again rectified and the GC was issued all documents including his ID card etc. which reflected 1951 as the DOB. After the IMA training, the GC was then commissioned into the 2nd Battalion of the Rajput Regiment. All his records showed 1951 as the date of birth and that should have been that. The Adjudant General’s Branch (AG’s branch) deals with almost all aspects of a serving officer’s career. The Military Secretary’s Branch (MS Branch) looks after postings and maintains the Army List which has each concerned officer’s DOB listed. In the absence of a birth or a school-leaving certificate, the date of birth listed in the Army List is considered to be final. In the case of VK Singh, the list that was prepared at the time of the officer’s commissioning failed to take into consideration the correction that had been made and the school-leaving certificate was ignored. In all probability, this was a clerical error or an oversight at best. After the General Sinha/Vaidya controversy wherein the latter was appointed COAS even though Sinha was the senior of the two in the 1980s, the Government of India more or less accepted the principle of the senior most Lieutenant General taking over as the Chief. Unless an incumbent died in office which sent the entire cycle haywire, it had become fairly predictable to see who the likely candidates for the top job were for the next one decade or so. Also, when General Vij was preparing to hang up his boots, there had been a fair amount of speculation that SS Mehta, an Armoured Corps officer would supersede JJ Singh. The speculation was serious enough for the Sikh Panth to intervene (as was reported by the Indian Express on its front page) and speak out in favour of JJ Singh who took over the mantle of the Indian Army when the time came in 2005. During JJ Singh’s tenure as the COAS, it didn’t take too much mathematics to figure out that his successor would be Deepak Kapoor who would be followed by VK Singh. At this point of time, the COAS’s staff got into the act and sniffed out the discrepancy in VK’s DOB as listed in the Army List. VK Singh at that time was the Chief of Staff of a Corps in Northern Command and was marking time to move as the Corps Commander of India’s most prestigious strike corps in the Western Sector. It was then decided that to manipulate the way for Bikram Singh to take over from VK Singh, an age controversy would have to be created. 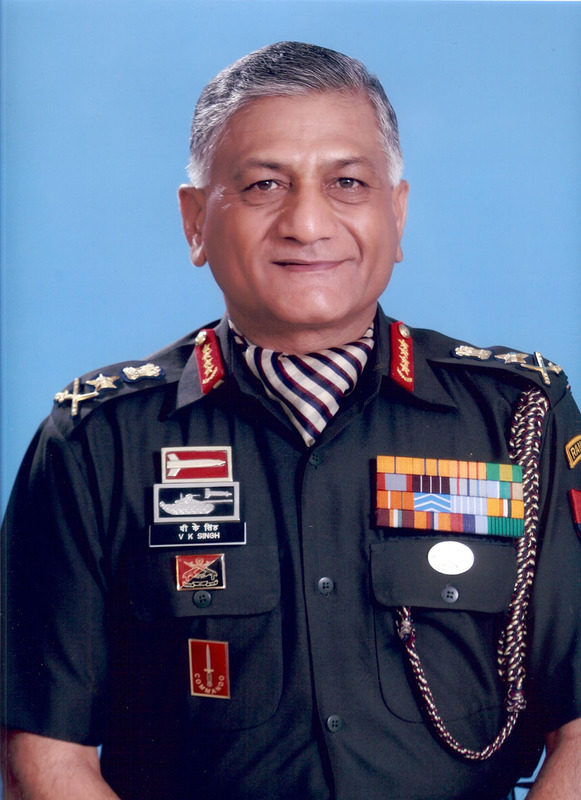 Accordingly, VK Singh was called by Army HQ and told that there were two date of births and that this discrepency would cost him dearly if the Army played it up negatively with the Ministry of Defence. He was told in no uncertain terms that even if the DOB was 1950, he would still become Chief when his time came, and he was asked to accept that in writing. Despite him putting down in writing ‘in the larger interest of the Army’ that whatever Army HQ decides was acceptable to him, the powers that be asked for an unconditional acceptance with the promise that they would resolve the issue later. Given a direct command, VK Singh did as he was told but the wording of his letters before the unconditional acceptance and after that made it fairly clear that it was under protest. JJ Singh retired and Deepak Kapoor took over as the Chief of Army Staff. Public memory may be short but it is universally accepted that this was probably the lowest point in the Indian Army’s integrity as various scandals at the lower levels started to erupt with alarming frequency. VK Singh had moved from the Corps as the Eastern Army Commander (after Deepak Kapoor too got him to sign a similar letter 'in the interest of the Army’). VK Singh was facing a dilemma of his own – the Sukhna land scam had come to light and involved in it was Lt General Avdesh Prakash who was then the Military Secretary dealing with the MS Branch. The general advice given to VK Singh at the time was that he should ignore the Sukhna land scam as ‘it was an A matter’ and that he should just lie doggo and do nothing, especially since the MS was one of Deepak Kapoor’s PSOs and also within the Indian framework, proving corruption charges against anyone is a time consuming and virtually impossible task. Ordering the Court of Enquiry into the Sukhna scandal firmly brought VK Singh into Deepak Kapoor’s gun sights. He was already working overtime to try and convince the Government of India to give him an extension or to have a COAS of his choice appointed. The 2006 incident put into place by JJ Singh for what was an entirely different reason now came as godsend to Deepak Kapoor and his embattled Military Secretary who played it up to score points with the Government of India in their bid to scuttle VK Singh’s appointment as COAS. While Kapoor hoped to discredit VK Singh, the MS started claiming that he was the one who had stopped VK Singh from tampering with his age and hence he was being vindictive and framing him in the Sukhna land scam. Through this entire drama, the Ministry of Defence and the Government of India sat tight, saying nothing and doing nothing. The then defence secretary, Vijay Singh, on advice given to him by the COAS, Deepak Kapoor, suggested to his RM that MOD should not take a call on the basis of a matriculation certificate being the only document to prove age and let the army decide. Perhaps it suited the powers that be to bring the Army down to the common denominator of corruption that had become so rampant in the country. VK Singh duely took over the Chief’s mantle from Deepak Kapoor in April 2010. Over the years he had built up an image of being a clean and above board officer. Perhaps fearing that the General might be a loose cannon, the Government of India decided to play the game that had been set in motion in 2006 – it decided to go by his 1950 DOB. Within days of his retirement, Deepak Kapoor along with a host of other senior Army and Navy officers was at the centre of the Adarsh Building scam in Mumbai. With the image of the Army taking a beating, all eyes were on the new Chief to pull the Army out of the moral low it had sunk to. As the Chief of the world’s fourth largest Army, VK Singh had his job cut out for him. Not too surprisingly, both the previous lines of attack were brought into play. The five-year old ploy to cut his tenure short and install a favourable candidate on the one hand, while on the other attack his personal integrity to push him on the back foot so that no further scams were unearthed during his tenure. We have seen in the recent past how effectively the media can be manipulated and how various lobbies operate in the country. The MOD PRO has a known reputation for this game. With the Government towing the rather strange line of ignoring all the officer’s appeals to rectify the discrepancy in its records, the matter was bound to come to a head sooner or later. When the Defence Minister first said that the Government would continue to take 1950 as VK Singh’s DOB, it had to vector in the various possible responses from VK Singh. Had the Chief resigned, it is fairly well known that the Vice Chief would have been asked to officiate until Bikram Singh could be appointed the COAS in 2012. The Indian Army today is literally standing at the cross-roads. Unfortunately, even as the officer stands up for his rights, the colour given to his stance is that it is a personal battle of an individual seeking to stay on in office for another year. For VK Singh to have filed a Statutory Complaint with the Defence Minister seeking the ‘correction’ (not ‘change’) to his DOB, is also being seen by many as an unprecedented move that pits the Army Chief against his own Government and there is a fair number of people that feel that he should not have taken that step. However, despite having done everything by the book to have the initial error rectified, the officer has been given no justice in the last few years when he wasn’t the Chief. Given the state of affairs in the country, should he resign and go home, he’s soon likely to be confined to the pages of history and it will be business as usual with all the power brokers sitting pretty and the arms dealers having a field day. Given the legal soundness of his case (something which has been endorsed by four retired Chief justices of India) what is likely to happen next? More importantly, the big question is that why is the Government of India so intent on even ignoring legal opinion and sending the officer back to pave the way for what in reality is an out of turn appointment to Bikram Singh. It’s also a matter of time before the same lobby that came into play around the time of JJ Singh’s succession comes into play with motivated articles aimed at further pushing VK Singh against the wall. In the modern day scenario of power politics, lobbies and virtual corruption, VK Singh, the General, stands against his enemies, almost all alone. Just a fortnight before another Indian Army man had faced the Government and stared them down. Anna Hazare had the people and the waving flags behind him. VK Singh has to fight from within the system to save the honour of the Army and his personal honour which he is such a proud part of.